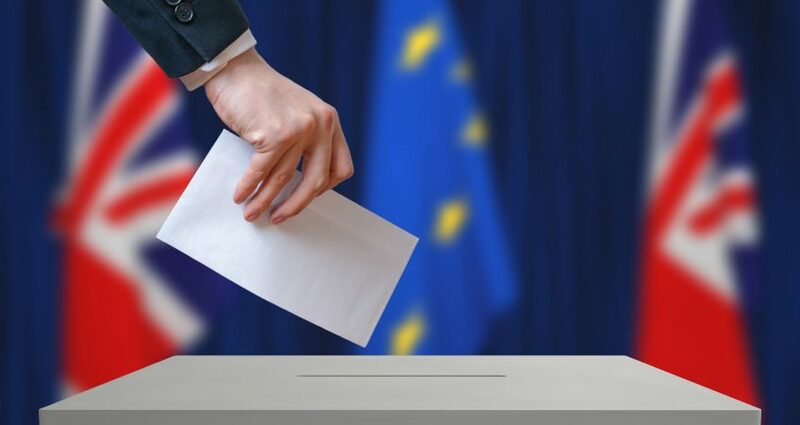 Yesterday’s election may have resulted in the worst possible outcome as it will extend the period of uncertainty given that all options — “hard Brexit,” “soft Brexit,” “no Brexit” — remain on the table. Taking stock this morning, however, the U.K. is headed into the most difficult negotiations in decades, with a hung parliament, a damaged prime minister, no majority, and a dramatically weakened bargaining position for the Brexit negotiations. On the positive side, this general election shows highest voter turnout since 1997, particularly among the 18–24 age group. One thing is clear: this is not the strong mandate that Prime Minister Theresa May had hoped to gain to help her strengthen the U.K.’s position in the upcoming Brexit talks. It is clear that the fear of terrorism and May’s tainted track record from her time in the Home Office, in combination with a weak campaign strategy and a series of tactical errors (pensions, healthcare), were the main reasons for the Conservatives losing their majority — more so than the question of Brexit. This is also seen in the poor results for the Scottish National Party (SNP) and the UK Independence Party (UKIP), both parties building their campaign around Brexit. On the other hand, the high turnout of younger voters, who failed to make their mark in the EU referendum a year ago and were disappointed by its outcome, speaks loudly against the hard Brexit plans of the May administration. Who Will Lead the Government? So, what is the bottom line after the election? Uncertainty. A number of options are on the table when it comes to who will lead the next government into the difficult divorce negotiations with the EU. The Conservatives, without question, have been hit hard, losing their majority in parliament and likely facing a heated discussion over the future leadership of the party. Likely May will step down quickly or face an extended period where her position is challenged internally and externally. However, as long as May holds on, she will remain in office as the incumbent prime minister of a hung parliament. There is also the question of who would replace her if she were to resign or be ousted. Foreign Secretary Boris Johnson and Home Secretary Amber Rudd would be the frontrunners, but there would be others. It all boils down to a loosely formulated “confidence-and-supply” arrangement between the Conservatives and the Democratic Unionist Party (DUP). This is clearly not the most stable option, given a slim majority of three seats with one still to be determined at the time of writing this blog. The alternative of a “rainbow coalition” under Labour with the SNP and the Liberal Democrats — which would still fall short of a majority — is even less appealing. Either way, there would be a lack of stability for any future government in the immediate term. What Impact will this have on the Brexit Negotiations? It now looks increasingly unlikely that the Brexit negotiations will be concluded within the two-year timeframe set out after Article 50 was invoked on March 29, 2017 — even more so now that hardliners in all parties have gained greater bargaining power to push their agendas. This could increase the likelihood of a soft Brexit, a no Brexit, or a delayed Brexit. The latter is probably more likely if the sides fail to come to an agreement within the two years, which would result in an extended timeline. This, however, would come at a cost, as EU leaders would not be likely to give ground here easily. However, for many, a “no deal” is not an option, as it would come at a huge cost to the economies on both sides of the Channel. The U.K. would arguably be worse off if it came to a showdown, but even under a strong Conservative government a hard Brexit was likely never more than a political move to strengthen their position in the negotiations and win over UKIP supporters. On the other hand, Labour has also accepted that Brexit will happen and this is unlikely to change based on early comments from Jeremy Corbyn this morning. With the Labour leadership having been clear about accepting the verdict of last year’s referendum, it would be a huge surprise if Corbyn changed his basic position. That position has never extended to seeking membership of the single market, with Corbyn generally emphasizing access to the single market rather than membership. In this sense, the Labour position is not too dissimilar to the Conservative one. This makes the “no Brexit” option unlikely, although in Continental Europe there are still hopes that the U.K. can remain in the EU. Abandoning Brexit would be the result of a coalition government failing to determine a clear course of action and a combination of fading political will, public disinterest, complexity, slow progress, and a better understanding of the cost resulting in political compromise that would allow both sides to keep face. An EU27.5 maybe. The most likely option is a delayed Brexit given that the clock is ticking down to March 2019. This period of uncertainty will come at a cost as investments are likely to be put off and immigration into the U.K. will remain low, while a growing number of EU residents head home. Over time this clearly will hamper the growth of the U.K. economy, which at least for now is powered by the low pound and thriving exports. Likewise, decisions on if and when financial institutions will move staff out of the City and toward Frankfurt, Paris, or Dublin will remain on hold and, in the case of a soft Brexit, are unlikely to crystallize. In the meantime, it’s business as usual in the City and London will remain the center of Europe’s financial services industry. Its unique competitive positioning, progressive regulation, and a buoyant fintech sector have lost little appeal to the financial sector. We don’t expect any major changes and decisions to be made until there is clarity on where the journey is heading. Given all this, there is still a possibility of yet another general election in the U.K. It is therefore fairly safe to predict that it will be the next election rather than yesterday’s election that shapes the eventual Brexit settlement. If you want to learn more about financial trends, please contact Thomas Zink or Lawrence Freeborn.